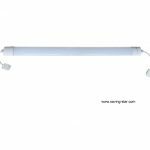 Super bright LED Linear High Bay Light, ideal for indoor or outdoor lighting. It is waterproof, dust-proof and moisture-proof. 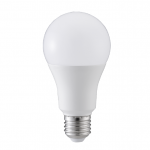 100-240/277V AC 50/60Hz for general lighting application; 200-480V AC 50/60Hz for industrial or commercial lighting solution. Gorgeous Lighting Co.,Ltd. 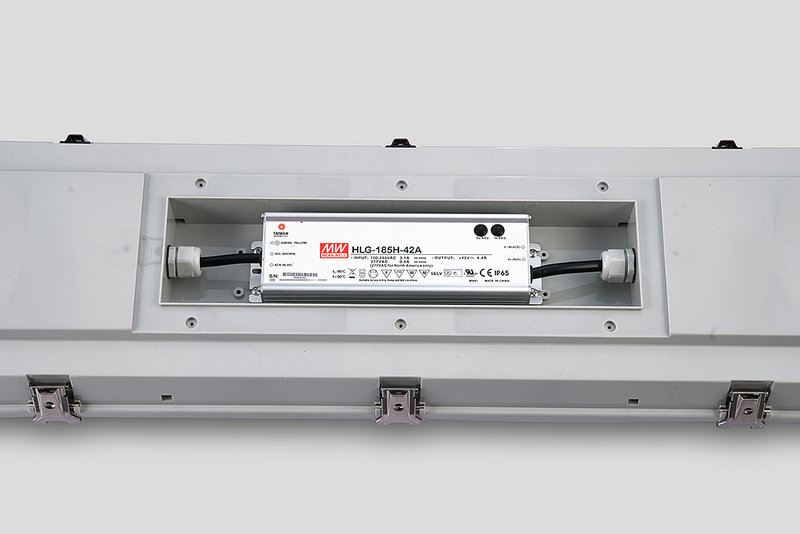 adopt high quality Mean Well HLG series constant current LED driver as the power source for HP series LED industrial luminaire. 5 year warranty. Learn before buy: Please know the working voltage of the installation place, and let us know, we will recommend the suitable working voltage for you. IP65-Protected from total dust ingress. Protected from low pressure water jets from any direction. IP66. Protected from total dust ingress. 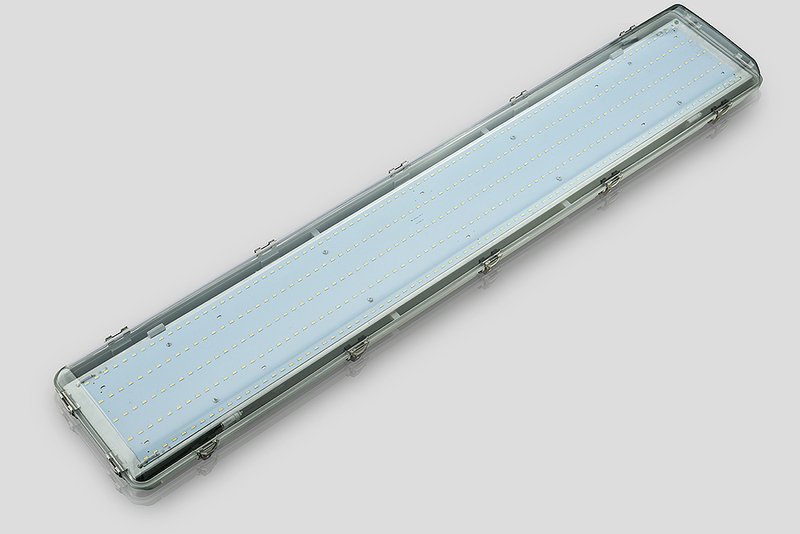 Our linear high bay light is Class I type. 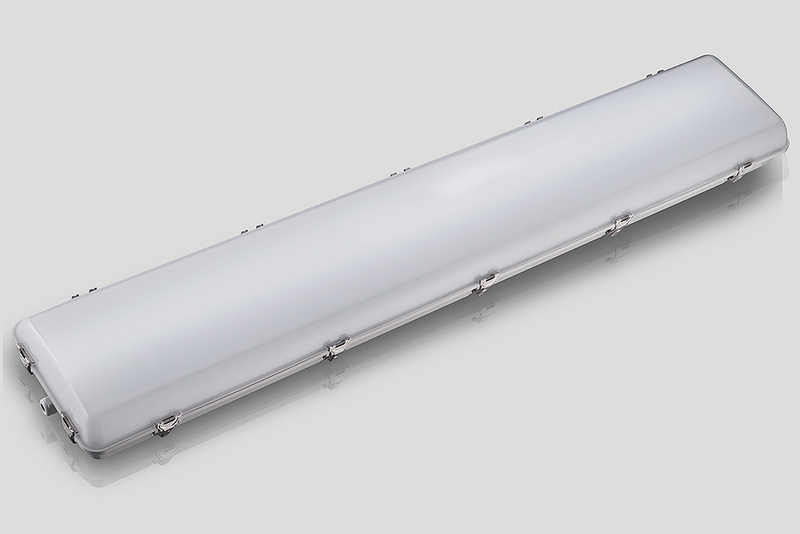 This LED linear high bay light is made from universal casing Polycarbonate (PC) Light grey (RAL 7035) , it is injection moulding with extremely high mechanical resistance. Thermal management is crucial for the efficiency and reliability of LED products. Aluminum base plate and PCBs: Heat transfer of aluminum plate with LEDs. Aluminum plate is a unique metal-based CCL, with good thermal conductivity. 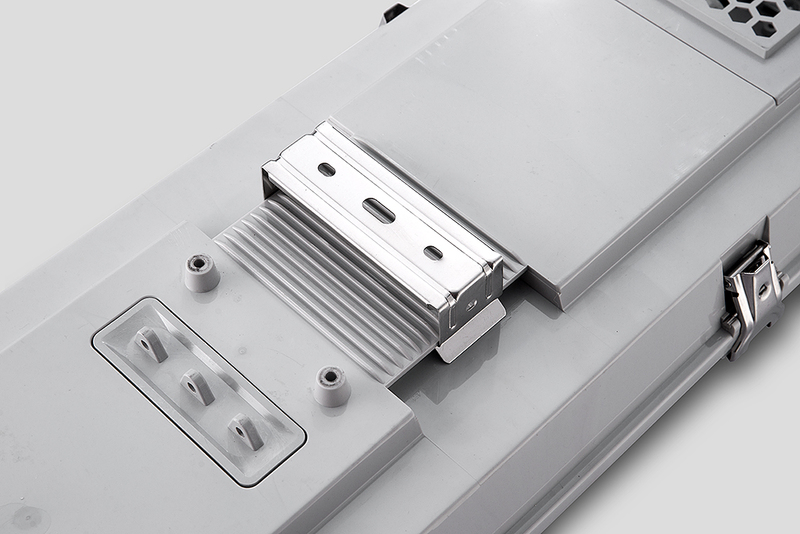 We adopt the aluminum base PCB design, improving the heat transfer efficient, ensure the long life working of LEDs. This LED industrial high bay luminaire has almost the widest surface of light body among the linear high bay lights in the market, which is very helpful for heat dissipation. Terminal Block: 3 poles screw types, 3-phase 5 pin connector or other ideal brand connector. 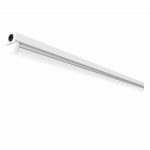 Installation: Easy and quick for surface mounted or hanging with 1 meter suspension chain.